Cheesy Party Pops are absolutely perfect for any gathering! A little different than you might expect but definitely worth the effort for your tastes buds! 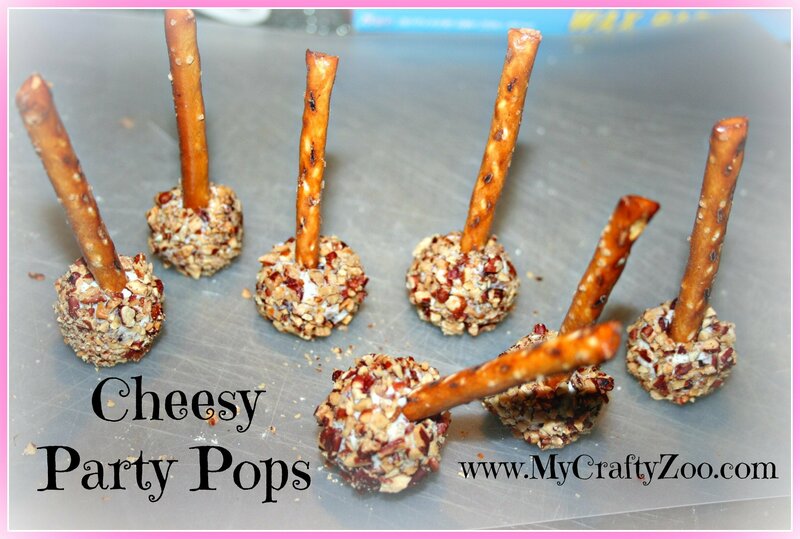 Monkey made these Cheesy Party Pops for our Thanksgiving gathering and they were amazingly yummy! It’s always great having finger foods on hand at any gathering, especially when it may be a while until dinner time! The cheesy party pops would be great for any party, as they went super fast! Don’t be nervous about the blue cheese, the flavors meld so well that even people who said they don’t normally like it said they loved it! They were gone pretty fast! Enjoy! 1. 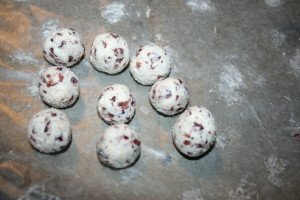 Use a spatula and stir together cream cheese, blue cheese and cranberries. 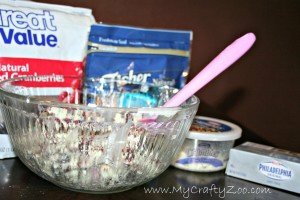 You may need to smash up some of the blue cheese chunks to ensure the mixture is smooth. 3. While the cheese balls are chilling, toast the pecans at 350 degrees F. It will take about 8 minutes (you’ll smell them!). Let cool completely then finely chop them. Place them in a bowl. 4. 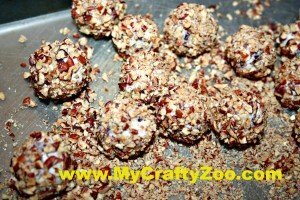 Roll each ball in the pecans, place a pretzel stick in each one and enjoy! Be sure and keep the balls chilled until serving! Please Note: Recipe is from Family Fun Magazine, December/January 2014 issue, Pg 20. Be sure & check out all of our other fantastic recipes!